Charlotte, North Carolina, July 10th, 2018 – Intermac America and Canada will showcase its industry-leading machines and software solutions September 12-14 at GlassBuild 2018 in Booth #2727 at the Las Vegas Convention Center. Intermac’s Master 33.5 5-Axis CNC will join the Genius CT-Red and Genius RS-A cutting tables on the show floor and all of these cutting-edge solutions will be under power and ready to demo! 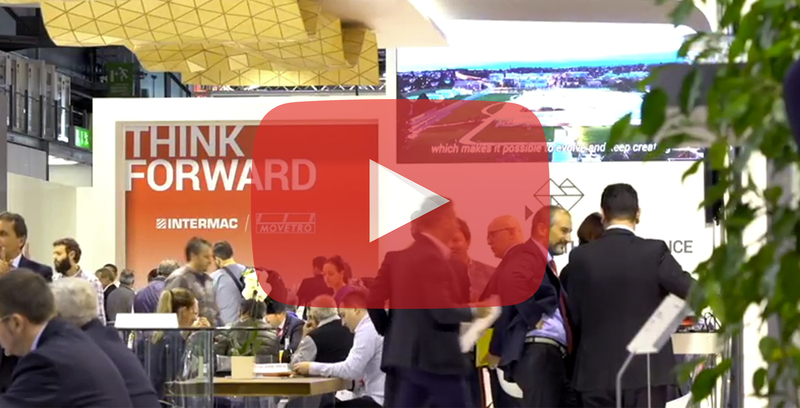 Visitors to our booth will have the opportunity to learn how Movetro solutions, now offered by Intermac, and intelligent automation can help companies avoid inefficiencies and add value to what they offer. Attendees will also experience a special preview of SOPHIA, Intermac’s new IoT Service and Parts Platform, and learn how this powerful software can maximize customer experience. The revolutionary IoT app and cloud-based software management tool helps users achieve higher productivity by providing them with an easy-to-use dashboard containing real-time visibility of machine status, performance and functionality. SOPHIA is also fully integrated with Intermac’s new PARTS portal, which gives customers the ability to purchase parts, check availability and track purchases online 24/7! You will also experience firsthand the unrivaled performance and reliability of Diamut tooling at GlassBuild. 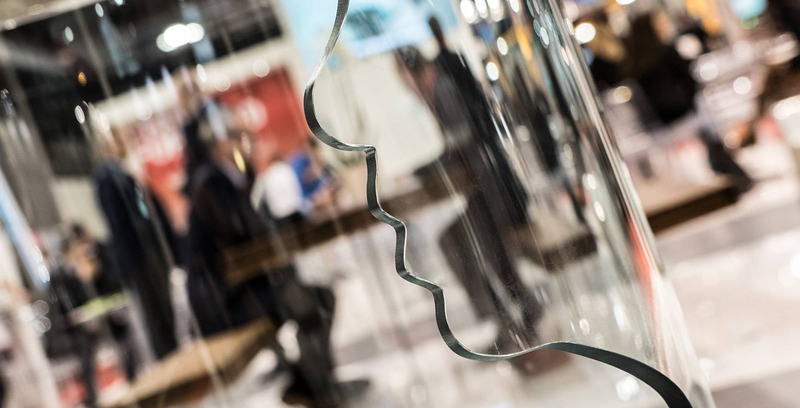 Come discover the synergies between our industry leading technologies during special demonstrations on Helix, Dynamic Lock, V-Grooving and Beveling solutions. The Master 33.3 5-Axis CNC offers maximum productivity and superior finish quality. This machine features a robust frame and added mass that reduces the amount of vibration and contributes to a longer spindle life. Capable of running multiple pieces at one time and grinding and polishing glass to extremely tight tolerances, the Master 33.3 minimizes time-wasting operations and maximizes productivity. The 5-axis head with endless rotation C-axis and tilting A-axis (from -90° to +90°) ensures excellent flexibility and the execution of complex machining operations. Other top product features include faster acceleration rate, shorter X-axis footprint and an integrated hand-held terminal that makes it easier to perform operations. A wide selection of optional features helps to maximum machining flexibility, such as an interface built into the CAD-CAM parametric, so that all operations can be carried out from a single work environment. Performance also benefits from a high degree of integration with Water Jet Cutting Systems in addition to Intermac Primus. The Genius CT-Red series of machines are setting new standards forCNC cutting tables for float glass. Intermac concentrates on its customers’ wide-ranging requirements to designand build some of the most versatile glass-cutting systems worldwide. Windows based PC controls allow remote troubleshooting of all aspects of machine functions. Optical readers are another of the numerous features that makes Genius so smart. A high-tech operating head, fitted with an automatic cutting pressure control system, controls wheel pressure from the very beginning to the end, automatically adjusting the pressure according to the geometry of the cutting path. With the optical reader for glass sheet orientation, wait times are reduced and maximum precision is guaranteed. A patented tool magazine provides automatic tool change based on glass type and thickness. Cutting table sizes are available for either half-jumbo or full-jumbo glass. The Genius RS-A cutting table is the premier standalone cutting solution in the industry. Designed with the high standards of all of our machines, it represents the low-cost, entry level machine for small shops or offline cutting needs. It lets you load, cut and break in one small package. Our Windows-based PC controller offers ease of use and seamless integration into existing networks. Our integrated tilt arms are unique in that they make loading and positioning of even heavy glass fully automatic. Automatic pressure control, integrated bars and optional edge deletion make RS-A a complete cutting solution.